Somerby’s Landing Sculpture Park exhibits large outdoor, contemporary sculptures from New England artists. 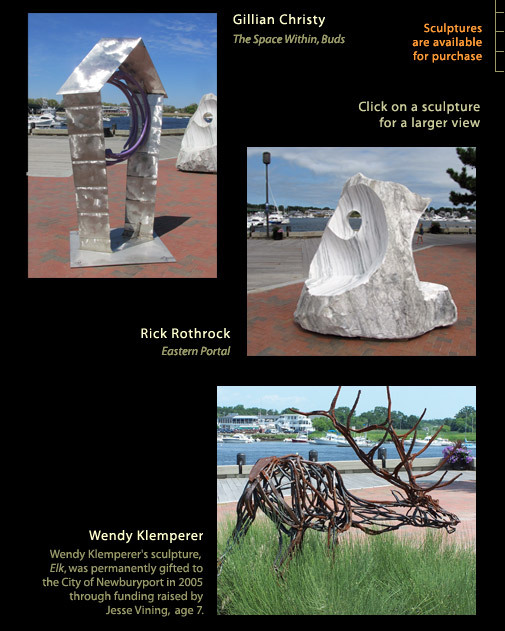 Located on the Merrimac River at the west end of the boardwalk in Newburyport, Massachusetts, the sculpture park is one of the many galleries in the Newburyport ArtWalk. 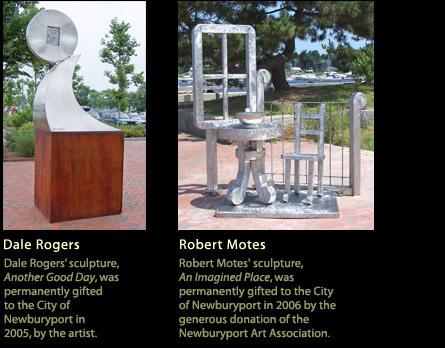 You can see more sculptures on the nearby Clipper City Rail Trail and Harborwalk in Newburyport. Support for the exhibit at Somerby’s Landing Sculpture Park is provided by the Firehouse Center for the Arts. Special thanks to the City of Newburyport and Newburyport Waterfront Trust. All sculptures © of their respective artists. Website Design © Artfluence.